Hello cherubs I hope you are all well and wrapping up warm, it seems the good old British weather is finally back! I have a skincare review for you today which is exciting, I've been using this for a few weeks now and wanted to share my thoughts with you. 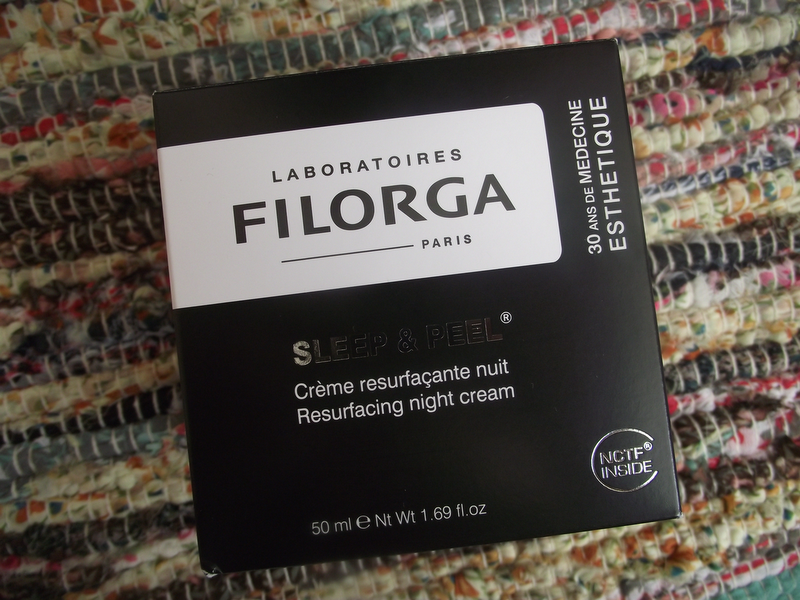 Filorga is a resurfacing night cream which is part of the anti-ageing range by Laboratories Filorga. Sleep & Peel has a growing list of A-list fans including Lady Gaga who is raving about Sleep & Peel. Well Sleep & Peel is a cellular renewal boosting cream which helps to soften the skin, fight premature ageing and correct imperfections. The NCTC ( a unique formula of 55+1 ingredients identical to the ones used in Aesthetic Mesotherapy ) and Hyaluronic Acid cocktail in this clever cream is added 6 varieties of hydroxyl-acids ( AHA and BHA ) of different molecular sizes that guarantee progressive and controlled exfoliation. Two matrikin peptides combined with brown algae and alpha arbutin provide a protective, lightening and efficient anti-ageing action. The packaging and the way the product is displayed is very nice and screams high end brand, this is not recommended for women who suffer from sensitive skin because of the active ingredients.You can use Sleep & Peel every night or like I do every other night or every 2 nights. I have been using this in conjunction with my other night cream and my skin has been fine no reactions. It does mention on the box that it is perfectly normal to experience a slight tingling sensation when first applied. I must have touch skin because I didn't notice any tingling. I've noticed how much clearer and brighter my skin has been since using the sleep & peel which is great because I always seem to get dry flaky patches on my skin which lets face it doesn't look great when you apply your foundation! This is become a MUST for my skincare regime and I love the fact you go to sleep and when you wake your skin looks so fresh and clear! Add it to your Christmas lists ladies because this is worth the pennies and the hype. Well if it's good enough for Lady Gaga...right? 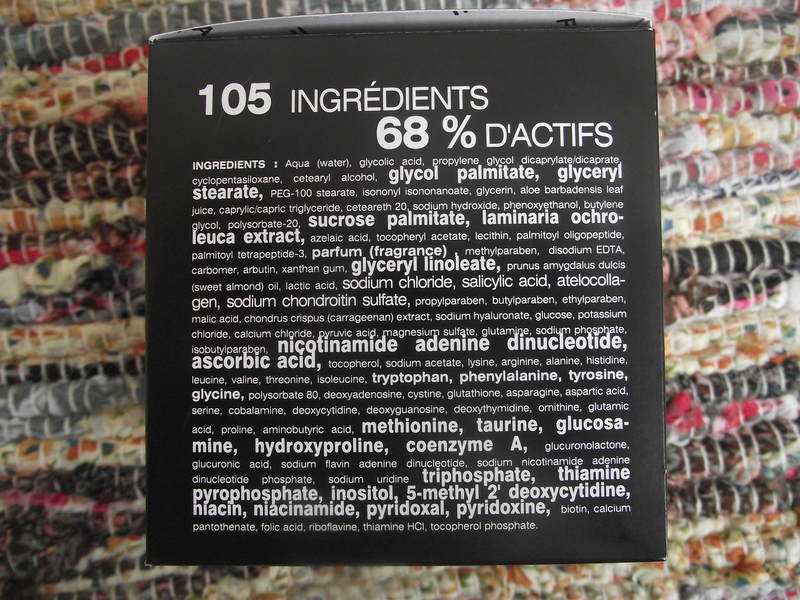 Have you heard of the Laboratoires Filorga range? 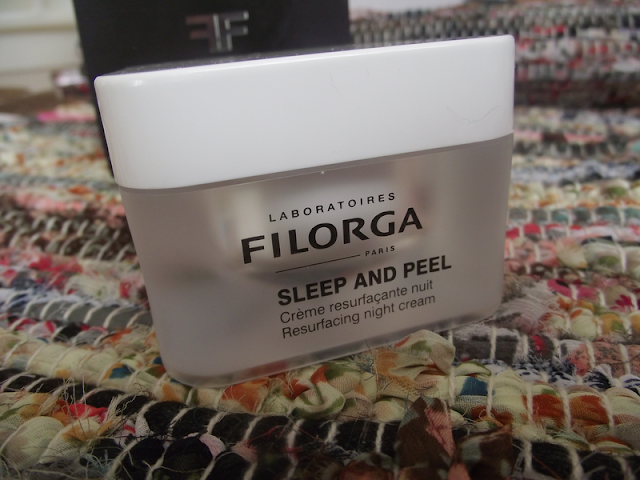 Would you like to try the Sleep & Peel?